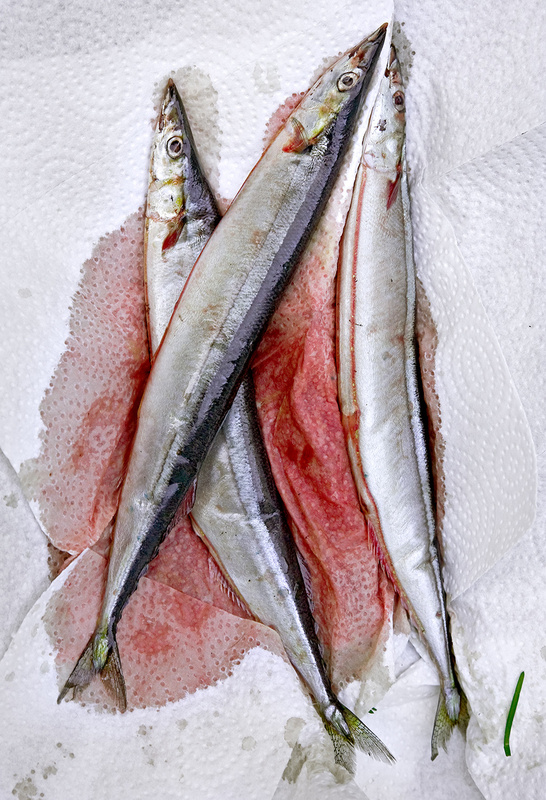 Three Spanish Mackerel arranged together for the photograph like this. 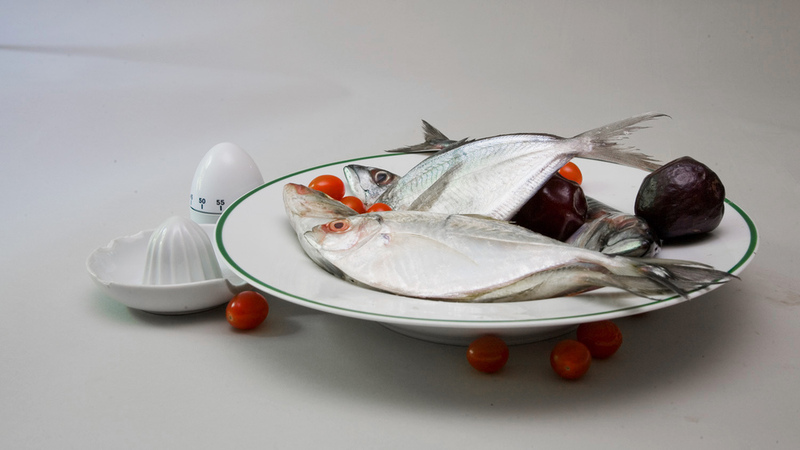 From "I remember and I forget"
The delicious Red Snapper often lives for fifty years or longer. Female Blue Crabs fighting in my kitchen colander. Although it is very hot today my Butterfish,Mackerel and the Blue Runner appear to be fresh and wholesome. There are more Carp raised for food than any other fish and no two look alike. 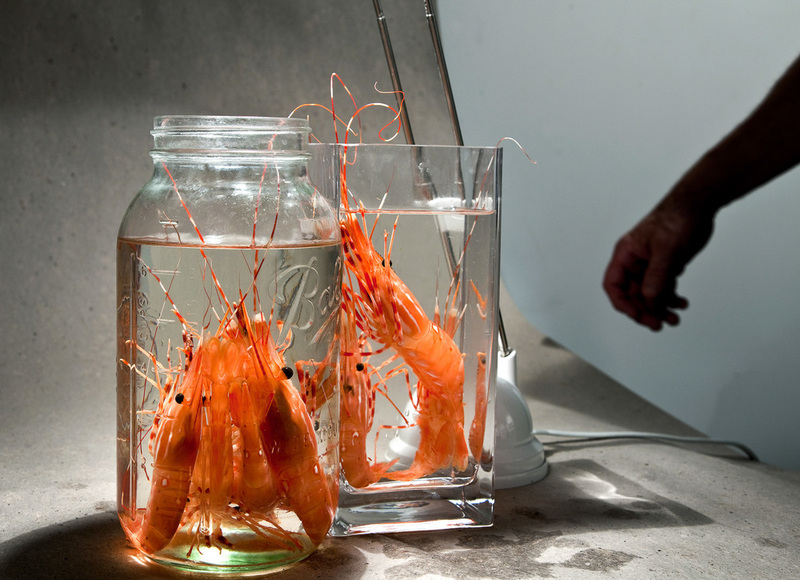 A living Whelk and another that is cooked , resting on a mirror. An Asian Eel with a bowl for scale. Pacific Oysters with my knife on a blue plate. 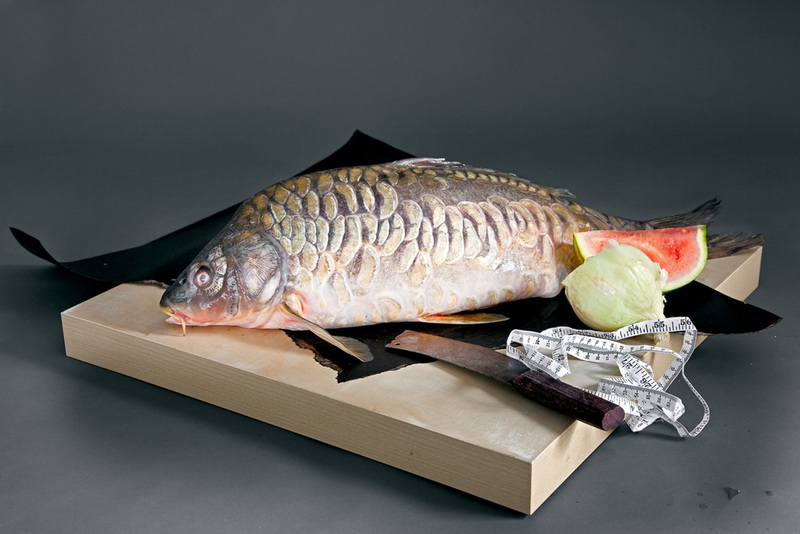 A Carp on my studio table before the final arrangement for a picture. An Atlantic Cod, located in 2010 after a considerable effort.